Data analysts have become a crucial part of almost every industry with the development of Information Technology. 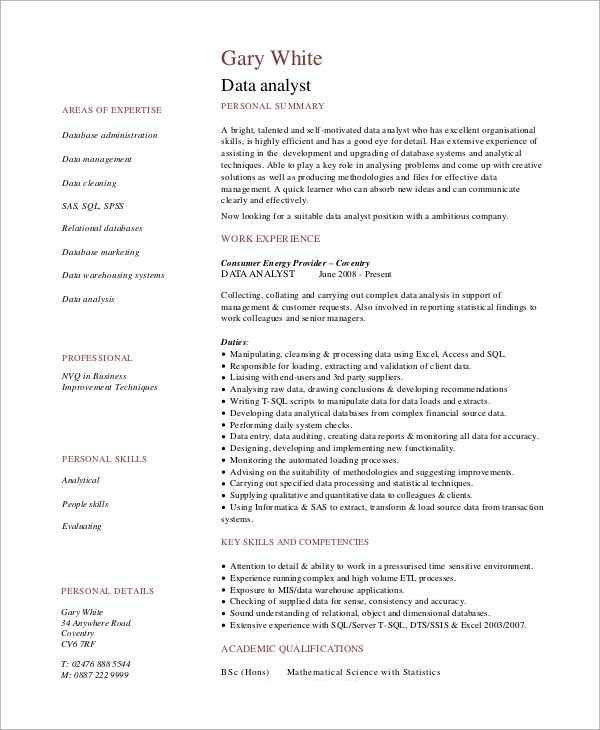 If you are a data analyst and crave to find a lucrative job in a respectable company, you need a powerful Data Analyst Resume. However, the job market is competitive, and the companies are choosy about the employees. 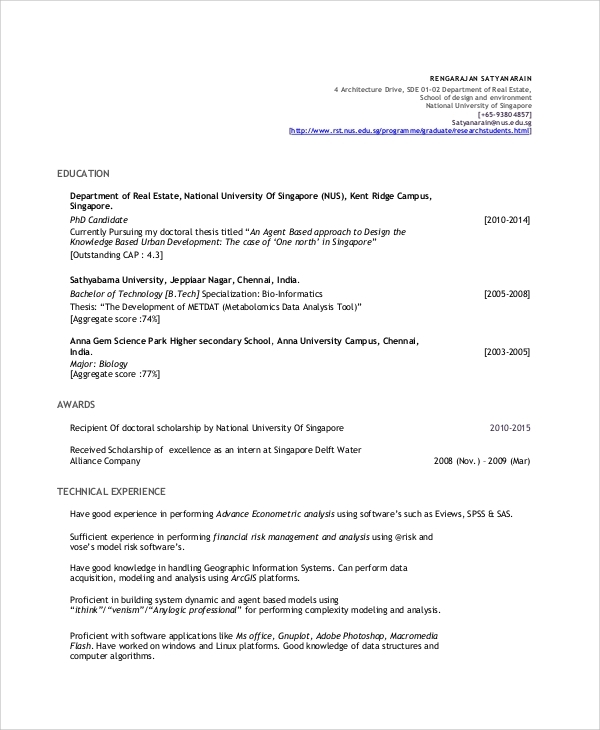 You can study a Sample Resume from the following ones and develop your resume with style and sophistication to cement your position in your dream company. 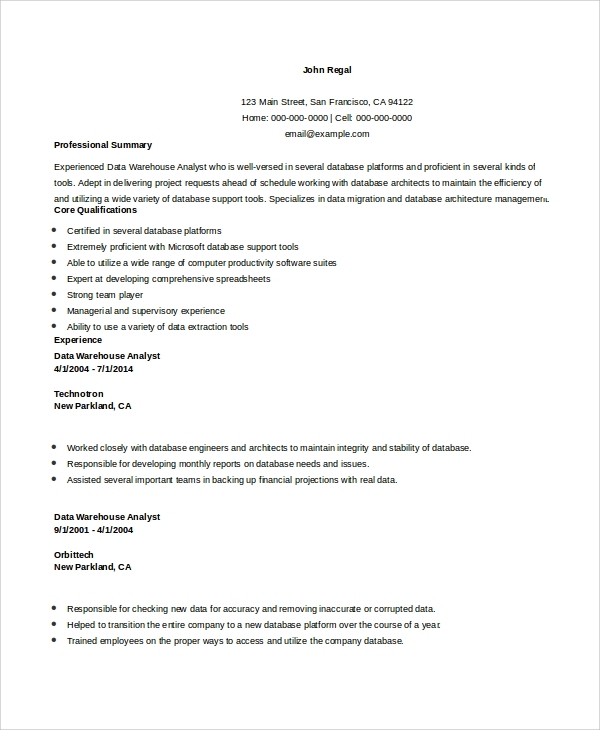 This resume has the name of the professional and areas of expertise at the top. The contact information is presented later in the resume. Separate sections have been used for personal and professional skills here. 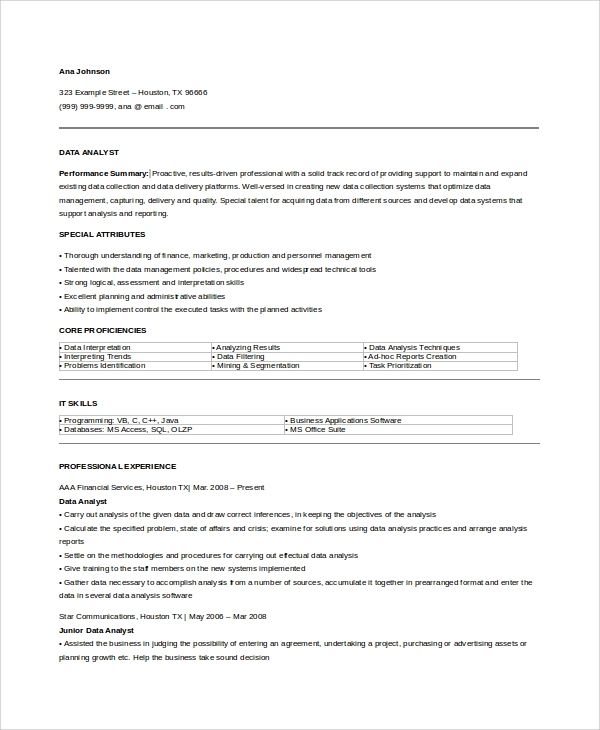 In this Resume Examples, separate sections have been created for the professional summary, areas of expertise, experience and so on. Scanning the resume is easy. You can include relevant experience along with the dates. A detailed account of the educational qualification and work experience is included in the resume. You can place the experience under separate job titles and enlist your abilities relevant to your profession. What information can you include to make your resume palatable? IT companies look out for employees with certifications and skills. So, it is essential to mention all the abilities you possess in a systematic manner. You can include separate job titles like database administration, data management, data cleaning and so on, along with your expertise in these aspects. Be unique with your personal skills and include a separate section for your soft skills. You can also include your professional skills and duties that you can shoulder under separate subheads. Use bullet points to highlight these aspects. The educational qualifications and other abilities need to be strategically incorporated in the resume to make it unbeatable. 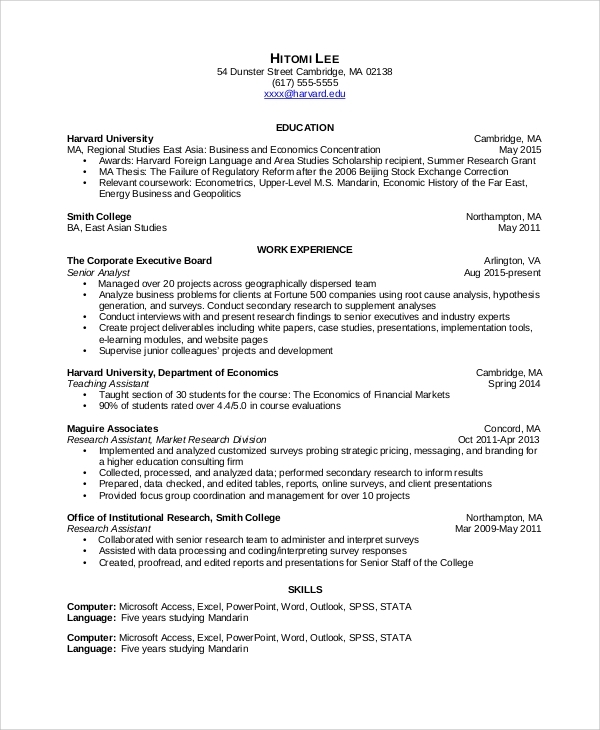 You can also see the Sales Resume Examples. The educational qualifications are presented at the top, as professional experience is limited for an entry level data analyst resume. You can mention your awards and technical expertise here. Then the experience section is presented in the resume. The professional summary for an experienced professional can be placed at the top, along with bullet points. Then you can proceed to other details like educational qualifications, soft skills, achievements, and interests. 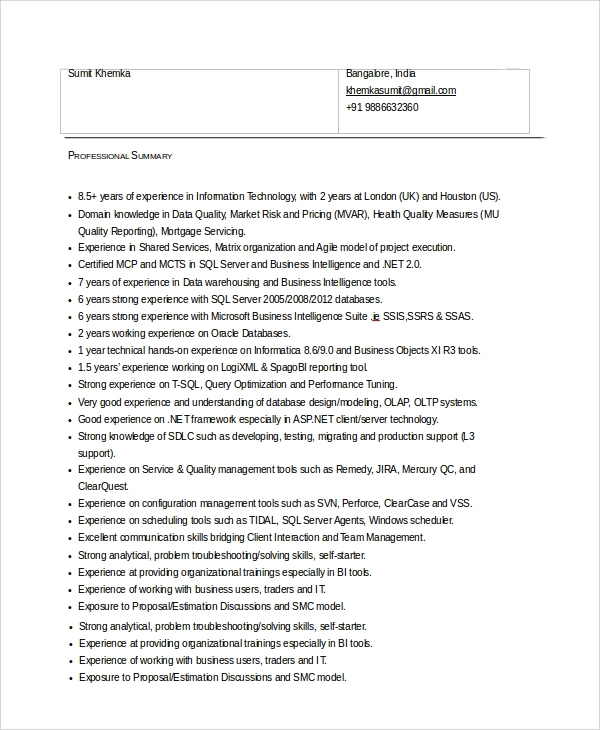 How to make a Data Analyst Resume effective? A data analyst Resume Samples has to be skeptical about the choice of technical terms in the resume. Focus on your numerical and analytical skills when you highlight on your personal profile. Write that you can meet deadlines through multitasking. Prioritization of work is crucial for this profile, so remember to include it as your professional skill. The ability to deal with difficult situations under pressure, flawless knowledge about financial terminologies and seamless interpersonal skills make you an able professional. Make sure that you mention all these terms in your resume and conclude with a positive and dedicated note. Data analysts have bright prospects in the contemporary industry, provided you possess the skills. You can browse through the website for Financial Analyst Resumes or Business Analyst Resumes, besides other variations. If you are a recruiter, you may need a Financial Analyst Job Description to fish out the right employees. You can customize all these templates per your needs.